The head of the upper house of the Belarusian National Assembly has expressed his country's willingness to develop trade-economic cooperation with Armenia, stressing the importance of investment projects as a key effort in such objectives. Meeting Armenian Ambassador Armen Ghevondyan on Wednesday, Speaker of the Council of Republic Mikhail Myasnikovich called especially for active steps to create joint investment ventures to realize the vision of a mutually beneficial partnership. 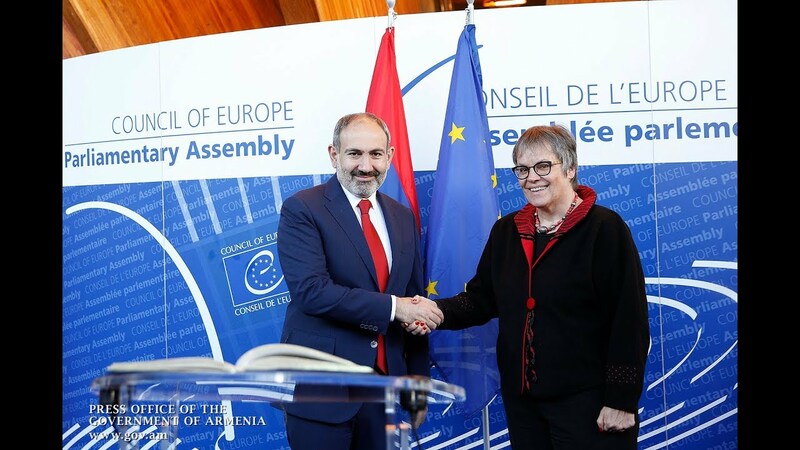 According to a press release by the Foreign Ministry, the sides also highlighted the parliamentary support to the Armenian-Belarusian interstate cooperation and the interplarliamentary dialogue in the bialateral, as well as multilatral formats. Ambassador Ghevondyan briefed the Belarusian parliamentary official on the formation of the Armenian delegation in the bilateral parliamentary friendship group (after the December 9 snap election), emphasizing the importance of the periodic and regular interparliamentary committee sessions. As an important impetus to the bilateral relations, the sides also considered partnership in the fields of science, innovations, health and youth affairs.